Sven: She adores him and loves watching the movie, Frozen because of all the bright lights and singing. Teething Necklace: Kennedy is currently teething and trying to chew on EVERYTHING and while holding her she tries to grab and eat my necklace so this is the perfect solution. Sakura Bloom Ring Sling: This is by far one of my FAVORITE baby items! I love baby wearing and once I got the hang of the ring sling, I will not leave home without one (or two). 4Moms mamaRoo: This swing is the Cadillac of baby swings. It has not 1 but 5 unique motions, reversible toy balls, built-in sounds (or you can plug up your mp3 player) and a reclinable seat. We have been using this since we brought Kennedy home from the hospital. Bob Revolution SE: This all terrain stroller feels like you are walking on air. It is so easy to maneuver and you can make the front wheel stationary if you decide to go for a jog. It folds up nicely and the wheels all come off very easily for better storage. Play Mat: There are many different options but the one we have, is the Taggies Bugs 'n Hugs Playgym. This is where Kennedy really started to roll over and army crawl towards the different toys. Bumbo: We LOVE this product! We use it for feedings and in the bath tub. It is just so easy and also it helped Kennedy learn to sit up on her own. I highly recommend this for any new mom. Babylit Board Books: These are great! Kennedy loves turning the pages and we read to her every day. Aden + Anais Bamboo Swaddles: These are the softest blankets you will ever find! We have the swaddles, which are great for summer time and the Dream Blankets, which are 4 layers of bamboo muslin and are amazing for colder weather. Maileg Mr. Fox and Ms. Deer: These have been Kennedy's favorite toys since she was about a month old. We have to thank A Little Bundle for introducing them to us. Vulli Sophie the Giraffe Teether: Kennedy has chewed on every single part of Sophie, which makes it so fantastic. Freshly Picked Moccs: From my last post, you already know these are a must for us! Laugh & Learn Magical Musical Mirror: We just invested in this and it is GREAT!! Kennedy giggles at all the songs and loves watching the mirror light up. She also has a blast playing with the bracelet and comb (she can't quite hold onto the lipstick and powder puff yet). This toy has helped her sit up on her own without any support. Avent Soothie: Kennedy has been using these since she was a month old (I waited that long to establish a good latch while nursing). We tried a few different pacis, but she would only use the vanilla scented Soothies at first. These are also the kind that they use at hospitals (if yours still does... ours does not). 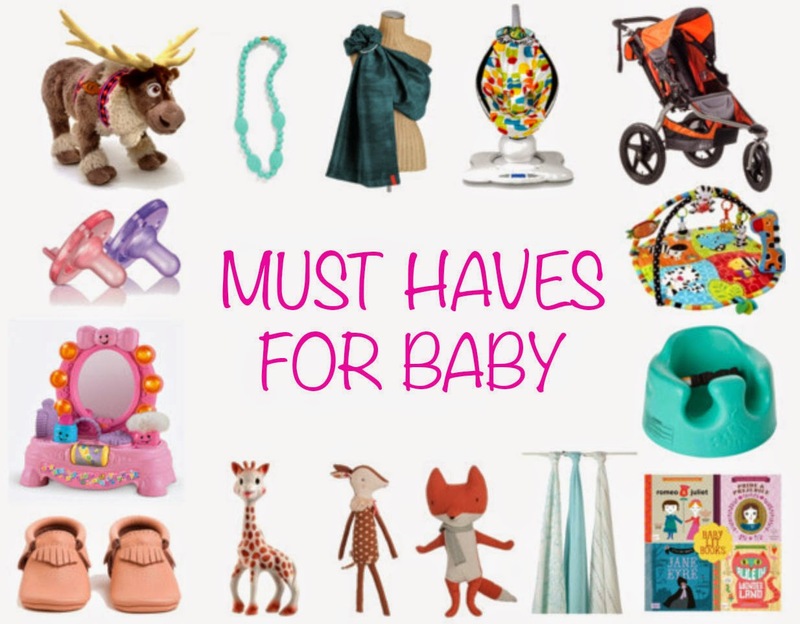 So there you have it, our list of must haves for baby. 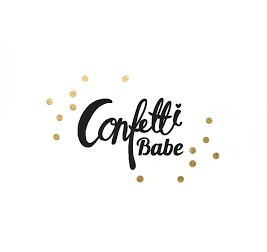 What is on your must have list? Thanks for share your idea.I am agree your opinion. I think that every mother must have this.